SANTA CLARA, Calif. ––June 20, 2017 —Silicon Valley Bank (SVB), the bank of the world’s most innovative companies and their investors, and In-Q-Tel, Inc. (IQT), the non-profit strategic investor that identifies innovative technology for the U.S. Intelligence Community (IC), hosted a pitch event for venture capital-backed startups to connect with investors, IC representatives, and leading companies and organizations in the artificial intelligence (AI) industry. Following pitches and panel questions, judges selected Feedzai, a leader in attainable AI for real-time risk management and fraud detection across banking and ecommerce, as the most innovative AI startup of 2017. "We are at the forefront of an incredible opportunity with AI. This event proves how powerful it is to have entrepreneurs and VCs working together toward developing game-changing technologies," said Nuno Sebastiao, CEO and co-founder of Feedzai. “It's an honor to receive this award from such an impressive panel of experts, and I'm proud of the dedicated work of our growing team that keeps Feedzai's innovation stream flowing day after day." 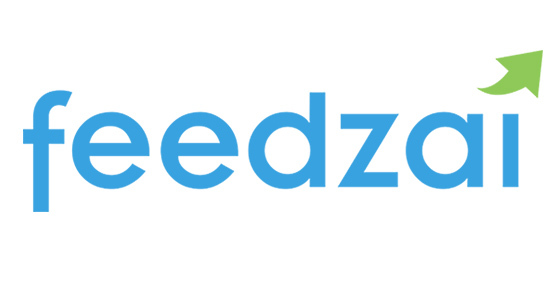 Founded in 2009, Feedzai’s mission is to make commerce safe. Its technology is built using artificial intelligence that adapts with the detection of new malicious threats at scale, helping enterprise customers make data-backed decisions and de-risk commerce transactions in real time. Its investors include Sapphire Ventures, Oak HC/FT, Citi Ventures, Data Collective and others. Feedzai is AI. We’re coding the future of commerce with the most advanced risk management platform powered by big data and artificial intelligence. Founded and developed by data scientists and aerospace engineers, Feedzai has one critical mission: make banking and commerce safe. The world’s largest banks, payment providers and retailers use Feedzai’s agile machine learning technology to manage risks associated with banking and shopping, whether it’s in person, online or via mobile devices. Learn more about Feedzai at www.feedzai.com.